This overnight camp is one your camper will never forget. 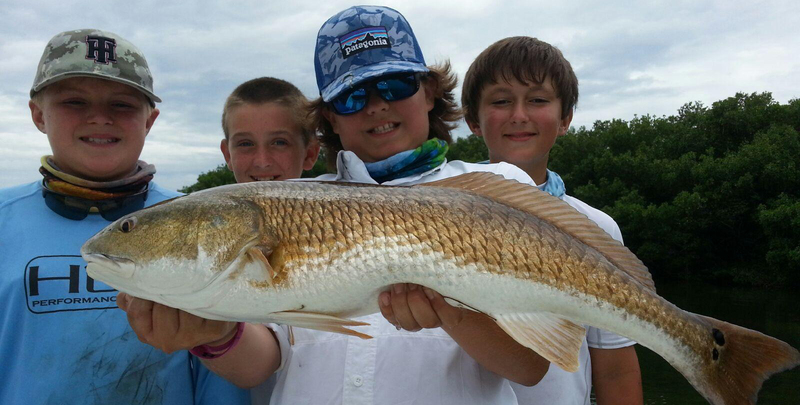 Register for up to four consecutive weeks of intense saltwater fishing! Our campers fish with professional fishing guides on comfortable bay boats everyday catching snook, redfish, trout, mackerel, snapper, jacks and sharks! 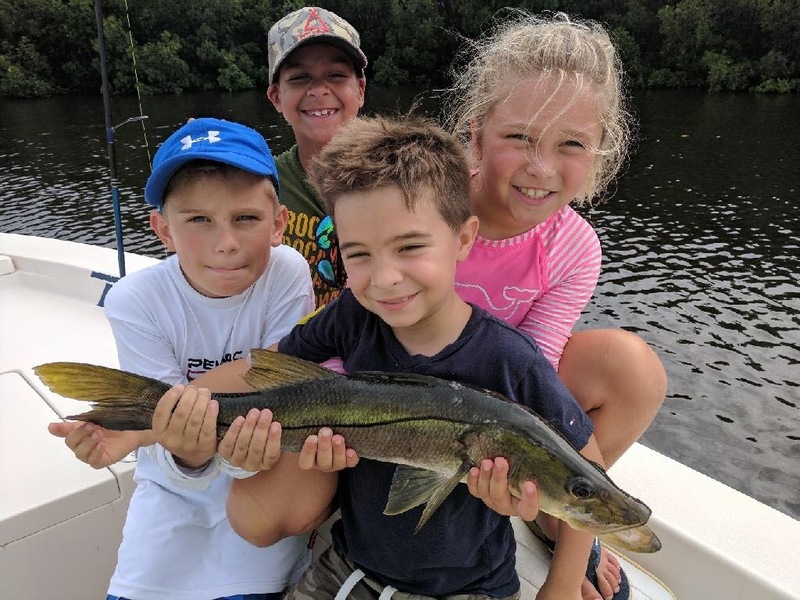 In addition to daily inshore fishing trips, young anglers learn about spin casting, baits and lures, knot tying, cast netting, fishing techniques and tackle rigging. Other camp activities include night fishing, shore fishing, log rolling, canoeing, kayaking, marine biology, fly casting and fly tying! On certain weeks we also include a night of beach camping and a day of offshore fishing instead of our inshore charter. Check the schedule below for details. Camps run Sunday to Saturday with the option to attend up to four consecutive weeks. Campers who fish for multiple sessions are able to stay through Saturday night and begin the following camp on Sunday.